Modern luxury Townhome provides distinct contemporary energy and glamour for the discerning homeowners. 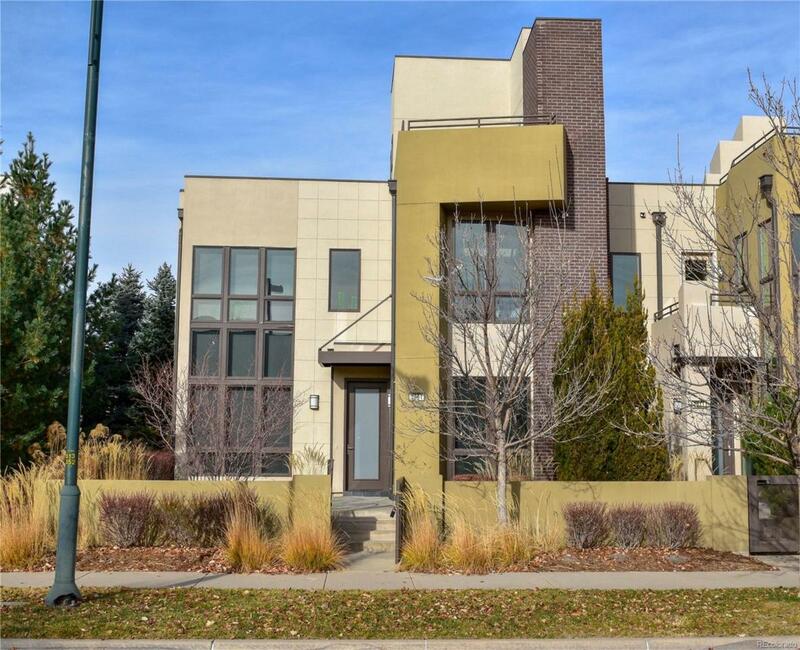 This Sky Terrace townhouse that is only attached by 10' on one side - built by Infinity Home Collection, an award winning builder famous for innovative designs and architecture in Denver for over a decade. Everything in house upgraded; whole interior was custom designed, unique from the rest of neighborhood. Gated entrance w/patio. 2 levels, 2-3 bedrooms, great room w/2-story windows & fireplace; large kitchen w/stainless steel Jenn-Air-appliances w/5 burner gas range, dble ovens & island; recreation room, 3 full baths, private courtyard w/fireplace off kitchen. Master bedrm bath w/dual vanities, tile surround walk-in shower, granite counters, access 3rd floor sky terrace w/fireplace. Main floor next to full bath can be used as a 3rd bedroom, office or media room. Cable-ready speakers in great room/dining area, laundry rm, 2 car garage w/remote. 738 sq ft of outdoor living space.